Comfortable, bunk house living close to the beach. 'Hidden Treasure' is a bunk house style house that is the perfect place to relax after a day at the beach or checking out the local attractions. The wrap around porch has a gas grill, outdoor seating and a place to relax. The updated interior has everything you need to for a comfortable stay: efficient, galley kitchen for meals at home, TV and DVD for relaxation and comfortable beds to get ready for your next adventure. Looking for something larger? Right next door are three (4) bedroom houses. www.vrbo.com listing numbers 418399, 418443 and 680980. We live just over the border in New Hampshire but love to play at York Beach. We formed Periwinkle Properties LLC when we purchased this set of three houses in the spring of 2012. Periwinkle combines our interest in fixing up older houses and time at the beach. 'Hidden Treasure', 'Breakwater', 'Windswept' and 'High Tide' are all part of Periwinkle Properties and available for rent individually or as a package. 'Hidden Treasure' is comfortable, convenient and family friendly. Winter 2012/13 renovations include a new slider and windows, kitchen cabinets, bathroom updates and electrical system. It's not too big but has everything you need for your vacation. If you are interested in 'Breakwater' or 'High Tide' and need a little more room, 'Hidden Treasure' is the convenient extra bedroom as well as perfect all by itself. Available for use, nothing fancy but clean and functional. A gem of a vacation rental! We stayed at Hidden Treasure for three weeks in October and it was ideal. Comfortable, very clean and maintained, plus a well-stocked kitchen for our longer stay (cooking lobsters was so easy!). Anita was easy to work with, quick to respond to questions or to provide anything needed. Easy walk to Short Sands Beach. One of the best parts of this stay was that our dog was welcome and there's a good-sized lawn right next to the bungalow that was ever so helpful! You won't regret choosing Hidden Treasure. We loved the location of the property. The owner left a lot of things there for us to use while we were there (oil to cook, paper towel, bath towels etc). We do not have a dog but it is dog friendly so ended up being not as clean as we prefer. Owner very nice and great communication throughout planning. Perfect location and very accommodating. Would highly recommend! It's a lovely little bungalow, close to the beach, restaurants and shops . We had an awsome time. We had a delightful stay at Hidden Treasure. 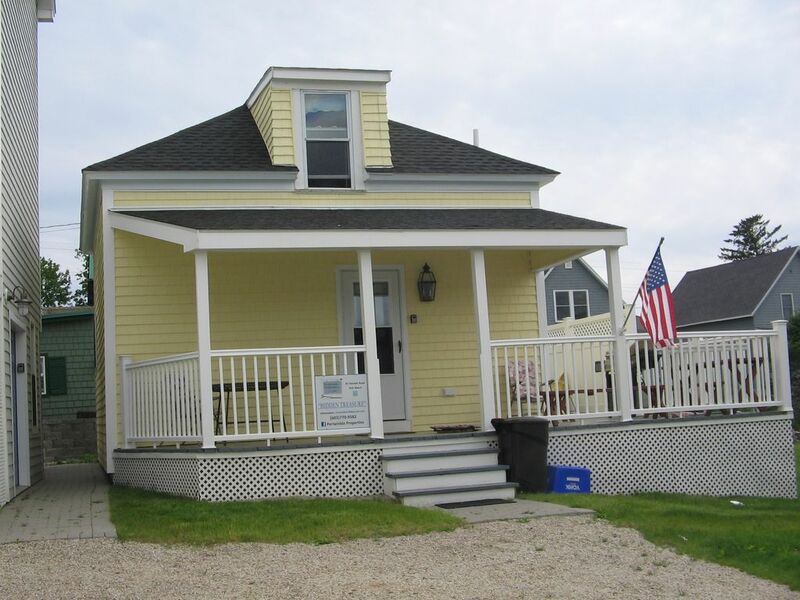 The cottage is adorable and well-equipped for hanging out or heading to the beach. We'll definitely be coming back, especially since Anita is so wonderful to work with. Perfect long weekend with our puppy! Perfect little getaway for us and our puppy. Loved the front porch, big yard, and beautiful ocean views only steps away. Anita was awesome and the house had everything we needed. York Beach is a family friendly town with many activities for people of all ages. Long Sands Beach is over a mile of sandy and rocky shores to explore and Short Sands beach is just a half mile walk from this house, home to arcades, Goldenrod Salt Water Taffy and shopping. Discount available if this property is rented with listings 418399 and/or 418443.